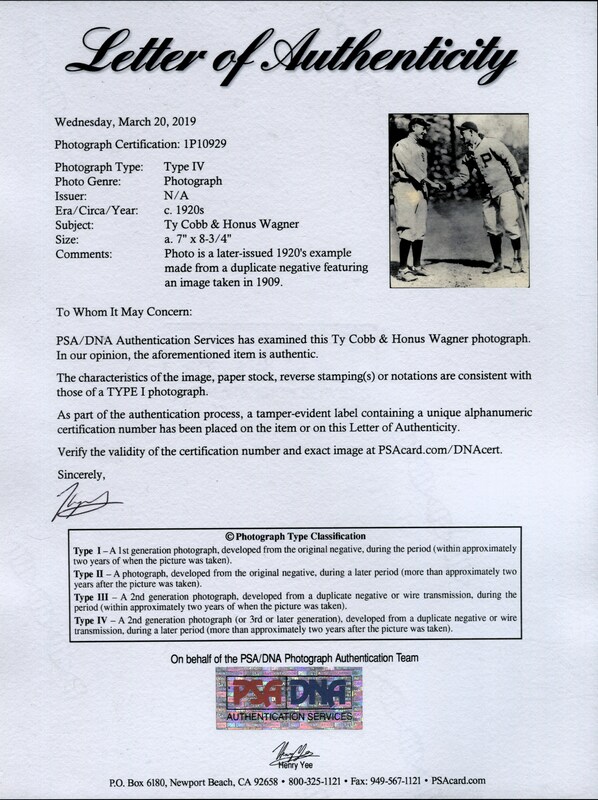 This classic photo of Ty Cobb and Honus Wagner stands as one of the hobby's most celebrated images since it was utilized for their iconic M101-2 Sporting News Supplement; PC796 Postcard and Novelty Cutlery Postcard! 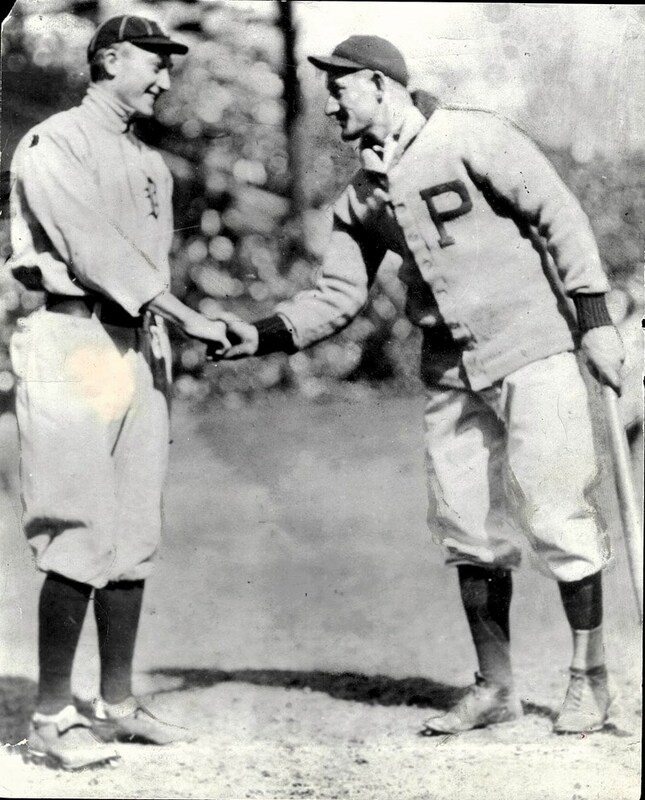 Pre-war collectors would widely agree that these are three extremely popular images portraying both the "Georgia Peach" and "Flying Dutchman" as they shake hands before one of their legendary 1909 World Series contests. Although deemed a Type 4 photo by PSA, it was still issued some 90 years ago by the renowned Christy Walsh Syndicate with a detailed caption revealing an account of the photos 1909 history.